Night summer camping on sea shore. 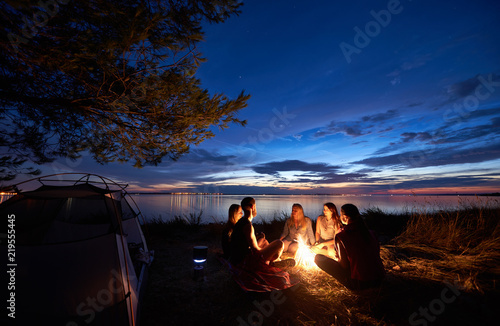 Group of five young tourists sitting on the beach around campfire near tent under beautiful blue evening sky. Tourism, friendship and beauty of nature concept.